It’s not a secret that Nigerians love OTT (Over-the-Top) weddings. And, if you’re like most brides-to-be I meet, chances are that you want a big dream wedding, even though you and your husband-to-be have a small money (budget). Maybe all your girlfriends had talk-of-the-town type of weddings, and they’re all expecting you not to disappoint the big-girls-club. If that sounds like you, here’s 10 awesome ideas for planning a (kinda) big Nigerian wedding with a small budget, and still get to save lots of money to enjoy your married life beyond the wedding day. Read on. Especially if you plan to honeymoon abroad, flights and hotel accommodation are a lot cheaper when booked far in advance. So, book your honeymoon vacation flight and hotel accommodation months in advance, so as to lock in a sweet discount – that way you may even get a honeymoon-abroad for the cost of one in Naija – more like living large on small budget. Get even more discounts by telling the airline and hotel that it’s your honeymoon – some couples have used this simple way to get king-size upgrades on the cost of economy. Save cost by buying wedding things in the open markets, instead of from some fancy bridal stores. Most stores branded as ‘bridal shops’ are likely to sell you higher costs for some items you can get cheaper in the open markets. Of course, they have to build in their high shop rent and the comfortable air-conditioner you’ll enjoy. So, save big by buying your wedding shoes, accessories, even wedding gown and traditional engagement outfits at the local market instead of fancy malls or shops. And, here’s another secret – when out shopping, don’t mention that the item you’re pricing is for your wedding (if you don’t want the sellers to pile up more money to the price tag). For some reason, the word “wedding” on anything or any shop kind of makes stuff more expensive. Buy drinks and bottled water in bulk at wholesale pricing – some drink manufacturers or their distributors even offer free ice block cooling drums to people who purchase in bulk for occasions. Related: Steps for making a wedding budget – we simplified it! Find where bargains and discounts are happening and shop. Bargains, discounts and sales can be sweet but don’t get carried away – ensure to buy only the things in your budget. Savvy brides are bargain hunters, snoop around and you’ll hear about where the biggest bridal sales is happening, and you can save as much as 60% on many bridal items and wears, and your guests would think your wedding was really expensive (it’s your secret). Ask vendors and wedding shops for discount even if the shop is not having a “sales” or promo. You’ll be surprised at how they’ll be happy to oblige you. Use your contacts to get things for free or special discounts. Your mom or her friends may personally call up that invitation card printer or rental service provider they have used many times in the past. Ask newly married friends relatives for wedding service providers they used and how much they paid. Here’s another secret: even when you’re buying your honeymoon travel ticket, in the airplane or when booking your honeymoon hotel, announce to them that you’re newly married – you’ll be surprised at how much stuff you’ll get for free. Some venue are so ugly that it would cost too much to decorate it to a presentable standard – and in the end, if you added the venue decoration cost plus the venue rental fee, it would have been cheaper to hire a “seemingly” more expensive venue that didn’t require any decor. So, save on venue decoration by choosing a reception location that has a beautiful setting and ambiance (whether indoor or outdoor), so that you either do not require any or much decoration. Did you know that a cheap wedding venue with a gorgeous setting and lighting looks expensive and makes all your pictures look great. The more flavours and decoration you request in a wedding cake, the more you’ll pay. Leave out the frills such as assorted flavours and fillings and unnecessary cake decoration. Simple is beautiful, when it comes to wedding cakes. Buy a modest size wedding cake (one or 2 tiers only), moderately priced too – and serve guests nice homemade cakes (in a size they’d appreciate, not like cubes of sugar) – you can buy the cake or beg a few talented friends/ family members, who are bake-savvy, to do that for you, as their wedding gift (be sure to buy the baking ingredients they’ll need). You could be lucky to get 3 friends do one big cake each. No need for icing; after all, most guests don’t eat them, anyway. I’ve been to weddings where there was more invited guests than the food served, and there was more than enough souvenirs (wedding favours) that you’d wonder whether “na by force” to belong! Instead use the extra money to giving your guests better food, entertainment and also into getting a more professional wedding photographer and videographer – after the wedding, you’ll want to have the memories well captured to tell the story to your children. So do not economize on getting the services of a professional wedding photographer. Instead of an expensive fancy invitation card printed on an expensive paper, opt for a simple yet elegant design in a cheap but good quality printing paper. Agreed, some invitation card paper are exquisite and over-the-top, but so are their prices. But again, you know that there are good printers in Nigeria that make great wedding invitation cards with simple, cheaper paper – that you’d swear they were printed abroad. Just spend more time to find a good invitation card vendor, instead of paying too much for some special paper. Wedding budgeting is simply common sense – small venues cost less; fewer wedding guests mean lower catering cost and cheaper smaller venues. Girl, wake up and do the math! Would you rather have a rowdy wedding with guests complaining about the tight venue and food that didn’t go round; OR would you be practical and invite less than 100 guests that never want to leave (at the close of the party) because they feel your wedding reception was the awesomest they’ve ever been to? Want More Ways to Save on Wedding Costs? Over to You – What’s Your Tip for Planning a Glam Wedding on a Small Budget? So, if you’ve always wanted a big-girls wedding since you were age five, but felt it could never happen, now you know how to save costs on the big-girl-wedding-things and still have your wedding the way you dreamed without spending too much. Just so you know, even the rich people use the above tips (secretly), and they call it “being frugal” or wise at spending, and not being stingy. That’s it for our 10 unique tips for organizing an big, fat Nigerian wedding with small, “chenkele” money. Do you have any money-saving small wedding ideas we can add to our tips above? If so, add them in the comments below. 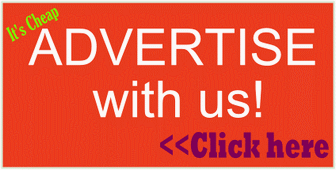 Hello Odiase, we are happy to hear you value our small Nigerian wedding planning tips. The only way to know what a Mile 2 (Lagos( event hall will cost is for you to physically go to some and ask. Sorry, I have no idea. Wao… Dis is amazing. God bless u MA. This has made me to b less worried abt my wedding planning. I am happy to know that, Linda. Have fun implementing those small wedding budget ideas above, we are sure that your wedding will turn out fabulous. Let’s know how it goes and we look forward to featuring your wedding photos and story here – once you’re set. Aww! Ada, I’m happy to hear that – I am glad our tips helped you ease your wedding planning stress. StoryPage Events (wedding planner): 0708 718 1861 (Anthonia) – they can work with your budget; cover the East, and travel to other states too. See more wedding vendors here (click) – a few are specifically in Owerri, and some are in Igbo cities near Owerri (and cover Owerri). Wow… This is a great site.Am was really worried. As Av only gone to very few weddings cos am a recluse. Now it’s my turn. And I want just about 100/120guests with a budget of 500k.Have learnt a lot here. God bless u sister. Thanks for reading, Clementina. I am very happy to know that our wedding cost-saving tips have helped calm you down and made you confident that you can definitely have a fabulous wedding with the N500k budget you have. Go girl! You have a perfect wedding guest list size of 100 – that’s the spirit (keep it small). 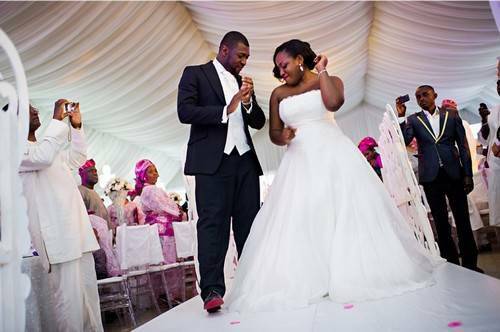 >>Ensure to read other Nigerian wedding planning tips and advice we have for brides-to-be and their grooms. I wish you a fun-filled wedding day. Thank you too, Pearl. AMEN to all the prayers. -We have a compilation (LIST) of wedding vendors in different parts of Nigeria here (click). Numbers 14 is a wedding planner and #28 is a makeup artist, number 38 is a cake baker – tell them you’re from me (Stella/ NaijaGlamWedding). **The wedding planner (#14) knows different nice event halls to match different prices, as well as makeup artists and other vendors they’ve worked with in the past. It would help if you open up to her about your budget range so she can quickly direct you. **You can mention that you’re from me (Stella/ NaijaGlamWedding) and admin of the Nigerian Wedding Market FB group. I wish you the very best as you negotiate prices. Have a fabulous wedding, Pearl – and make you send us pictures o.
Chei! Thaank you ma! Thank u . I most definitely will- from trade to court to white kpa kpa! Lolzzz. God’s grace always! You’re welcome, Pearl. Na you biko. All the best – your wedding will surely be classy and memorable, because you desire that. Rock on! wao stella youre amazing!my wedding is coming up end of the year and ive been scared to the teeth about preparing and all.. so i took to the internet and stumbled on naijaglam1 God bless you darling! youre a life saver! Thanks Seun. God bless you too – that’s why NaijaGlamWedding is here – to take the fear out of wedding planning and show you how to plan your wedding with how-much-you-have. I’m very glad that the above article helped ease your wedding stress. Be sure to also read this one – over 100 ways to save money from your wedding (click to read). I’ve not come across any blog as simple and on point as this blog,thumbs up,I hardly make comments but ur (admin) write up was precise and exactly what I wanted to see.I already have a picture of this whole wedding thing.I used to think someone needs at least two million naira just to get married. its educating, thanks again @admin. Thanks for your feedback, Donald. You’re not alone in that thinking, most people feel that way and most have even got so afraid of wedding costs that they cancelled every wedding plan till they become ‘rich’. But the truth is that most people have had great wedding celebrations on very normal, low cost. AND we are using this blog to show and tell engaged-to-marry-couples different practical ways they can plan a cheap but classy wedding in Nigeria. *Your appreciation just gingered me to dish out more low-cost wedding tips – I love hearing back from my readers. So, thank you! Hi Michael, welcome to NaijaGlamWedding and thanks for the feedback – we love hearing how our low-cost wedding planning tips help and give hope our about-to-marry readers like you. -If it’s a white wedding that you’re planning, take a look at these 5 sample wedding budgets, see how some real-life couples spent on their Nigerian white weddings. Hopefully, one of those budgets will be similar to how much you have saved. -If it’s a traditional wedding, you should use the traditional engagement list/ bride price list as the basis of how much to expect your traditional wedding to cost. Of course, you have to officially ask for it from your father-inlaw and then find out what each item costs in the market, and then total them up. *To give you an idea and help you know in advance how much to keep aside for that, click here for the igbo bride price list. Mind you, if you plan to have a party on your traditional wedding day, you’ll have to budget for feeding and entertaining guests – to get an idea of how much you can spend, look at the food and entertainment sample expenses in the white wedding sample budgets I mentioned to you above. *I wish you a happy wedding planning. This is the best article on wedding plans I have ever come across. This is very helpful, with this anyone can possibly plan his/her wedding and get best of result. Awww! Thank you, Chinedu. Your feedback has just made my day – I;m always happy to hear how this blog is helping our readers better organize their weddings. Be sure to read our other wedding planning articles. Thanks for stopping by. greetings to u ma,ur writeup is really a saving instrument but pls y cant l print them out will like to carry around daily just like a reminder pleaseeeeeeee thanks n God shall continue to enrich u to do more Amen. Hello Ijeoma. Thanks for the compliment – it’s my pleasure. Go to this page (click) to see all our downloadable wedding planning guides and templates (that you can print out to read/ use later). Thats my biggest issue. My fiancé wants 100 or less and I want same. but we are getting married in a town I grew up in with all family and friends residing there. Please I need your expert advice on strategies to pull this stunt. Hi Nancy, welcome to NaijaGlamWedding. I am not clear about what you mean by ‘My fiancé wants 100 or less’ – 100 or less of what? Reply to let me know what that is, and let’s see how we can help you out. Oh sorry ma, I mean 100 or less wedding guest on our day(church wedding reception). Is it possible considering both events(tm and church wedding) will hold same weekend (Thursday and Saturday) and in the same town? Thank you, dear – we love hearing feedbacks from our bride readers. 1). 100 guests or less is possible, but you’ll have to first draw up a guest list AND then make it an ‘invite-only’ since it will be in the same town AND/ OR find a way to secure the entrance to keep away the uninvited. Another way to ensure that you have just 100 guests is to have the wedding far away from your homes, maybe a destination wedding – so that people you can’t face to not-invite would not be able to attend. Mind you, destination wedding doesn’t have to be abroad. 1b) So, you could have any number of guest you like for each type of wedding – it’s your wedding, you know. 2.) Some small weddings are because the couple want only close friends and relatives invited BUT others are because the couple is working with a small budget. In the case of low budget, you would want to first agree on the maximum you want to spend and stick to that budget; be frugal and ensure to only spend more on the things that are most important to both of you – (list your top 3) and then economize on the others in order to stay within your budget. The Two Types of Small Weddings That Take Place in Nigeria: Which Do You Want? You are welcome, Femi. Thanks for reading and I am so glad to be of help. Please feel free to come by again and read our other wedding planning articles AND our special Section for MEN (here).